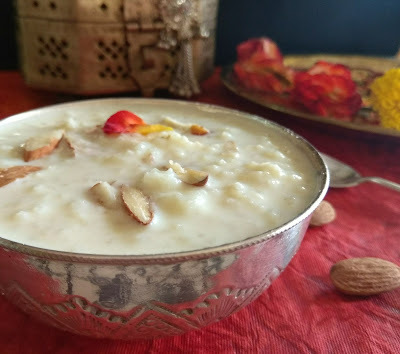 Diwali is round the corner,so it is time for some festivities.I feel that the Payasam or payesh as we call it in Bengali is that recipe which has a very important place in the traditional cuisine of any state in india.Though prepared with a host of ingredients, the rice payesh also called kheer in places in Northern India is the most popular. 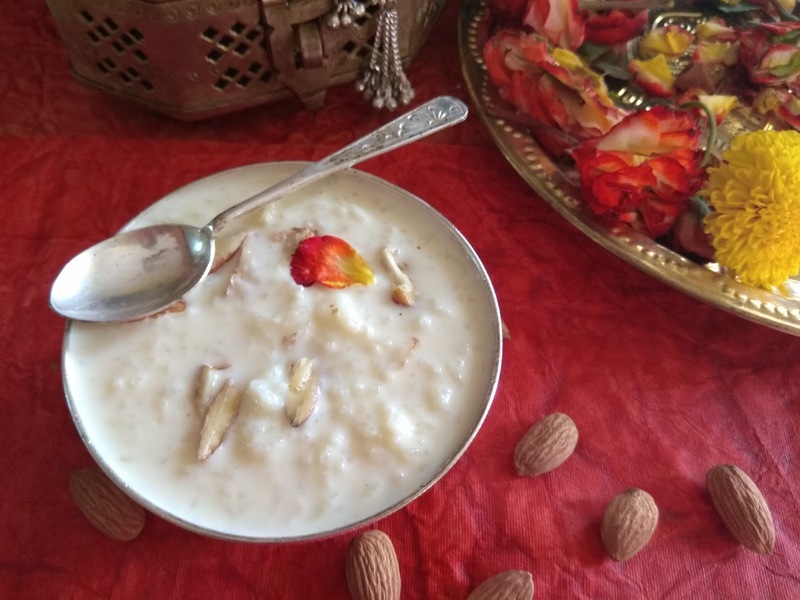 Amongst us in the state of West Bengal the payesh is taken as an auspicious symbol and is prepared on all special occasions.Birthdays ,marriages or religious festivals are considered to be incompletewithout this all time favourite payesh. I am sure this is a soul food for many,and reserves a place in our hearts which no other fancy fast food can ever fill.Moreover, for many of us ,this particular item reminds us of unforgettable memories related to our mothers and grandmothers. 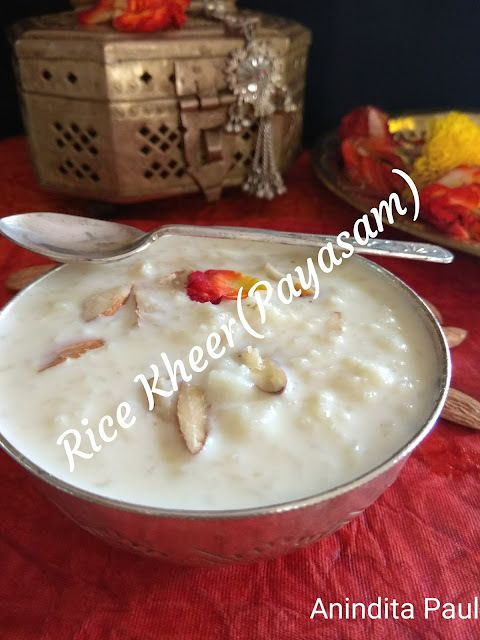 The payesh is prepared by different kinds of rice,in various places.in West Bengal ,this is best done with the Govinda Bhog Rice variety.Many even prepare it with good variety of Basmati rice.I always prepare it with the Jeera rice variety which is available easily in Bangalore and is a close cousin of the Govinda bhog type.The Jeera Rice actually leaves out an aroma when cooked and adds to the flavour of the preparation. 5-dry fruits--handful or as per taste.